Download Game Hacker app for android. What is SB Game Hacker? Game Hacker is the easiest and most powerful game modifier that will empower you with the best tips and tricks for your games. With this game hacking app you can modify parameters of any game, adjusting it to your desired difficulty level. How to use Game Hacker? The app is very simple to use. Imagine you need to change the score of match in a game of your choice. Just start the game, play the match and once you've obtained a score, mark it. Open up the tool straight away from within the game you just played and type in the number for your score. Right away it will change the final score with any number you type. And yes you can change it and any given time. Android Rent has published a very easy way to use SB Game Hacker to hack android games. It covers how to use it and how to download, use it and speed up game times. If you don't want to read specialised forums and search online for finding out how to pass one level or another or how to unlock a certain special character it is the app you must have installed. It will simplify your gaming life and give you more freedom by changing minor settings such as amount of resources available, the number of coins or the amount of gold, time left to complete level, moves left, etc. Read SB GAME Hacker App Complete Guide and you will be familiar with the basic steps of how to use it. Be successful in mobile games like Candy Crush Saga, Clash Royale or Plants vs Zombies and solve all needed tasks. Be a game killer with this cheat engine. Do you wonder which is the best game hacker? It is here. Obtain a competitive advantage in most video games thanks to these cheats, tips and hacks. It is a great hacker tool for non rooted devices. 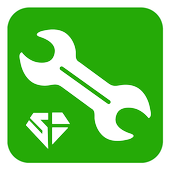 Download SB Game Hacker apk. What is Game Hacker? You can browse media content about Game Hacker on Pinterest, where great images are added every day. Watch how to install and use Game Hacker videos on YouTube. You can also look for Game Hacker app on Amazon Appstore.